Summary: This article is going to explain to you the 100% working ways on how to recover deleted files from Dropbox. Check out the steps below. Dropbox is web-based software that synchronizes stores and creates a backup of applications, and all types of data. 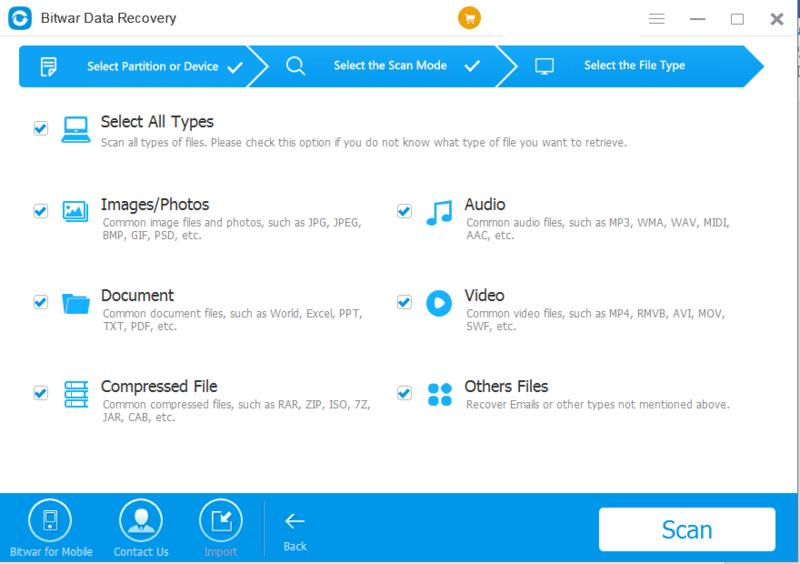 You can smoothly sync and make a backup of your files such as music, photos, videos, movies and documents, etc. by dragging and dropping into the Dropbox server. But there are times when you decide to clear all that unnecessary data such as files and folders from Dropbox to clear up some space. And what if you delete some precious documents or photos accidentally, then how do I recover? Please do not worry, as there is always a possible solution to recover deleted files from Dropbox. Delete the needed files or folders along with the unwanted files without attention. Well, it can happen to anyone! Files and folders get deleted from the Dropbox due to the presence of bad sectors in the computer’s hard drive. The antivirus may also sometimes lock access to files and folders. The good part is that the deleted files and folders still exist and wait for recovery. Therefore, following are some solutions, which you can opt to recover deleted files from Dropbox. When you permanently empty your essential files or a folder you can quickly undo deleted files from the “Trash” option in Dropbox. The question is how long does Dropbox keep deleted files? Well, the deleted or removed folders stay in Trash for 30 days for a personal account, and if you can upgrade to the Dropbox Professional account, you can have 120 days to back up deleted files. Then, with the schedule back up plan, you can quickly recover deleted files from Dropbox. Go to Dropbox website; log in to dropbox.com with your account. Click on the “Deleted Files” on the left side of the page. Once you click on the “Deleted files” folder, you can view all the deleted files and folders from the Dropbox Recycle Bin. These deleted files and folders will appear in grey. After this, click on the file or a folder you wish to restore by clicking on the space provided at the right side of the file name. Now, in this step, you will have to click on the “Restore” button located above the file listing. Following these steps will let you recover deleted files from Dropbox. You can choose to restore multiple files and folders by pressing “Shift” key for PC and “Command” for Mac. Consider it’s a Time machine on Dropbox! Step1: Sign in to the Dropbox website “dropbox.com” and go to the search bar located at the top right of the page. Type the name of the Recently Deleted file (if you remember) or else write the keyword that applies to the file to be searched and press enter. Step2: Doing this will let you see all the deleted files. Select the file(s) you want to retrieve and click on the “Restore” option. This chosen file (s) will be moved to My Files page. Step1: Sign in to the Dropbox website “dropbox.com” and navigate to dropbox.com/events. Step2: On the events page you will see recorded actions like edits, renames, moves, and additions, etc. Search for your file(s) here, when found just select it and restore it. You can choose to restore multiple files and folders by pressing “Shift” key for PC and “Command” for Mac. If you desire to recover deleted files from Dropbox older than 30 days or 120 days, then the above-stated methods will not work. However, you may still give it a try to restore the files and folders deleted permanently from the Dropbox by retrieving the cache folder. But, what if that also fails? You need a proper data recovery tool. There are umpteen numbers of data recovery tools in the market but, the question is which one to choose and why? Bitwar Data Recovery software is one such tool, which will provide you with accurate results for Dropbox, OneDrive or even Google Drive. It helps to retrieve data at a faster rate with high safety. All that you need is checking the steps showing as follow. Step1: Download the latest version of Bitwar Data Recovery Software and then install it on your PC or Mac. Step2: Launch the software and click on “Deleted file recovery”. Step3: In this step, select the drive or partitioning that contains the deleted files and hit on “Next” button. Step4: After hitting on “Next”, choose the file type that you wish to restore and then click on “Next”. 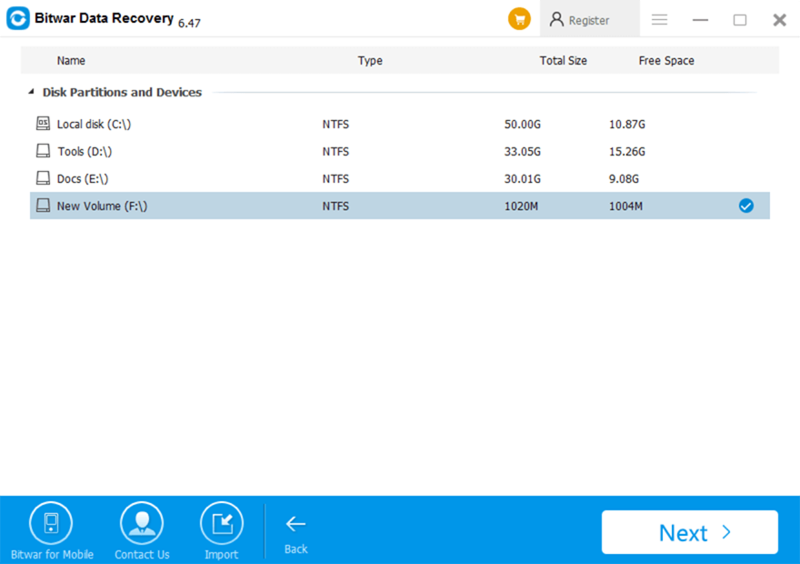 Step5: Preview the data and check the data which has a good condition for restoring, and then hit on “Recover” option to retrieve the lost data you need. Tips: Don’t save the files directly back to the position where contains your Dropbox deleted files to prevent permanent data loss. Well, there are numerous ways in which data can be stored in computers, and one such way is by using “Dropbox”, which is successfully used all over the world due to its reliability and functionalities. If this data gets deleted intentionally or unintentionally, then it can be recovered conveniently by using various Dropbox features available at your disposal. Nevertheless, there could be a fair chance that the lost data cannot be restored. What should one do in such a case? Well good for you, because we do have the solution with us for this problem of yours! Our “Bitwar Data Recovery Software” is extremely user-centric, efficient and fast. It is one of the best applications to be used for recovery related issues. Follow the steps listed in the user guide to recover deleted files from Dropbox using Bitwar Data Recovery software. In conjunction, it is also recommended for you to maintain a backup for your data somewhere and do not depend wholly on your Dropbox, this will help you stay away from avoidable inconvenience and struggle. Next articleQuick Fix Recycle Bin Corrupted Error with a Few Clicks!